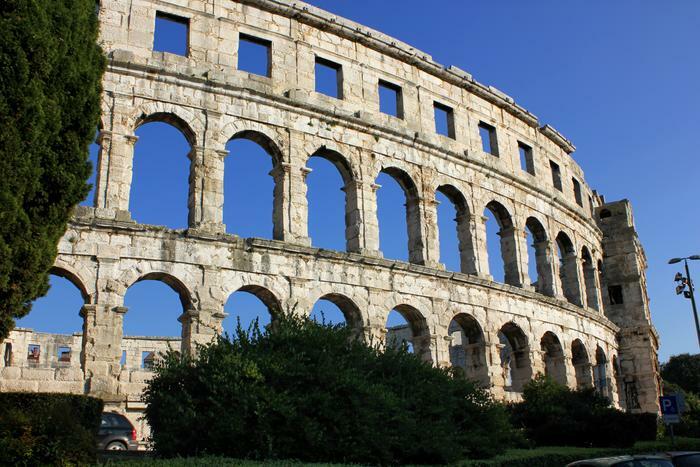 Pula is a town in Istria very popular among guests and it is known outside the borders of Croatia by its recognizable symbol – amphitheatre. It is known fact that the one of the best preserved amphitheatres had been built by the emperor Vespasian in the 1st century as a dedication to a young girl from Pula. Less known legend tells us that the fairies are the ones responsible for building the amphitheatre in Pula. They were building Divic-grad by carrying stones from Istrian mountain of Ucka. Word “divic” comes from Old Slavic language and it means miracle, which tells us how much the old Slavs were fascinated with the beauty of this Roman building. Folk legend says that the fairies used to work at night only when no one can see them, so they did not have the chance to put a roof on the top of their “miracle town”. Of course, this does not bother musicians and filmmakers who have found the amphitheatre in Pula to be an ideal venue for their performance under the blue sky.